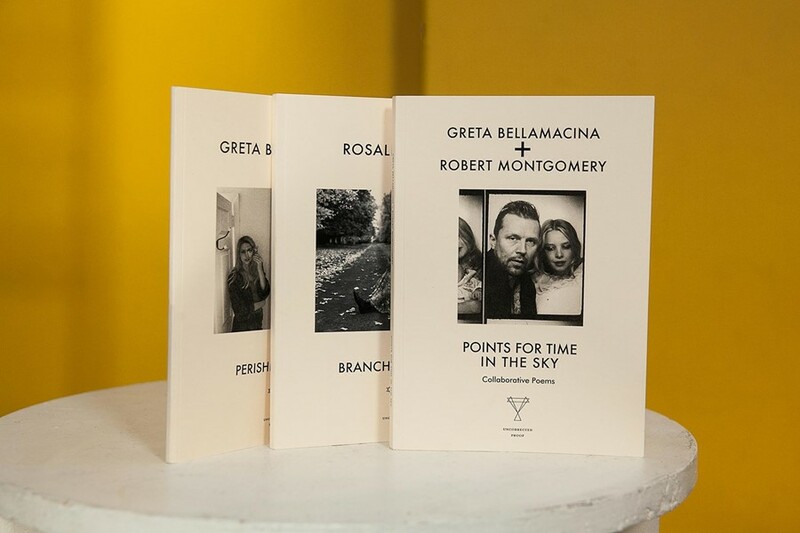 Looking at the story of how they met, it seems almost obvious that Greta Bellamacina and Robert Montgomery would find themselves living and working together, running a modern publishing house from the heart of London: a young poet is working on an anthology of contemporary love poems for Faber when she calls up a renowned text artist and asks for a favour. The next thing they know, they’re shacked up, with a baby and a poetry press of their own. Nobody can say the pair’s chance meeting hasn’t been expedient. That words-on-the-page emphasis may have to do with Montgomery himself, whose site-specific art you may be familiar with: large-scale sentences rendered in light or pasted on an ad billboard, meditating on modern life and melancholy around Shoreditch or at Trafalgar Square. 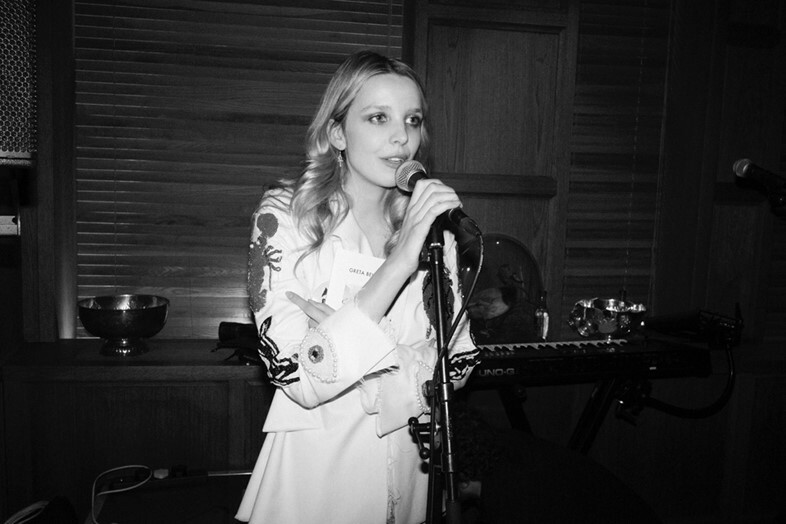 Meanwhile Bellamacina, 26, has a background in performing poetry, having read her work at the usual stalwarts like Hay-on-Wye as well as Shoreditch indie boutique Celestine Eleven and the Chateau Marmont. 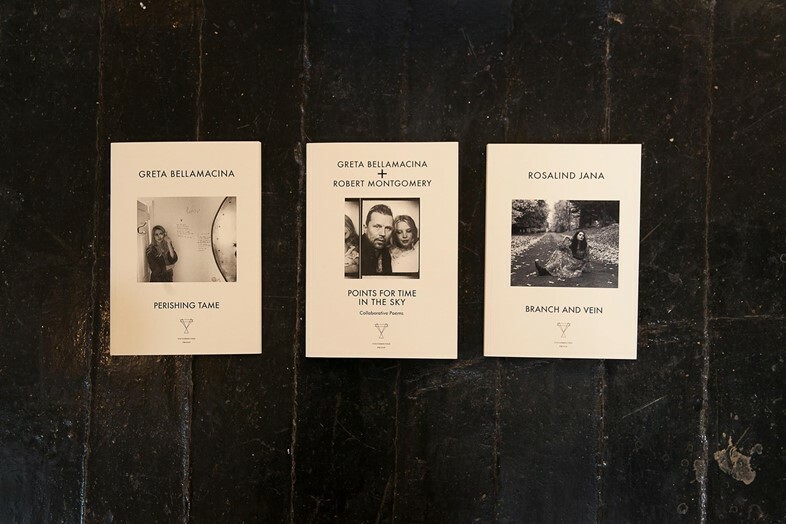 The couple brings together these two different disciplines in their own collaborative poetry, which has been growing steadily since that first wine-fulled evening at Montgomery’s studio. Their collection Points for Time in the Sky is one of the first books that New River Press published. Here the pair select three of New River Press' newest publications for your reading pleasure. “We realised that some of our own heroes didn’t have publishers,” says Montgomery of Williams, who at 76 has a long and storied role in London’s cultural life. Williams was instrumental in the 1977 establishment of Frestonia, Notting Hill’s utopian squat, and wrote Whale Nation in 1988, an influential epic poem railing against whaling. “Heathcote has quite an openly political voice and maybe more traditional publishers are afraid of that today.” His new book touches on evolution, British ecology and the extinction of the dodo. In between her studies in English literature at Oxford, Jana has written for fashion magazines and moonlights as a model. Branch and Vein is her first collection, and contains beautiful, exploratory poetry that moves through bluebell woods and abandoned seaside hotels to Prime Minister’s Questions in the Houses of Parliament. At just 20, Jana represents Generation Y’s emerging poets, a social media-savvy cohort of new, young voices that New River Press will aim to publish more of. 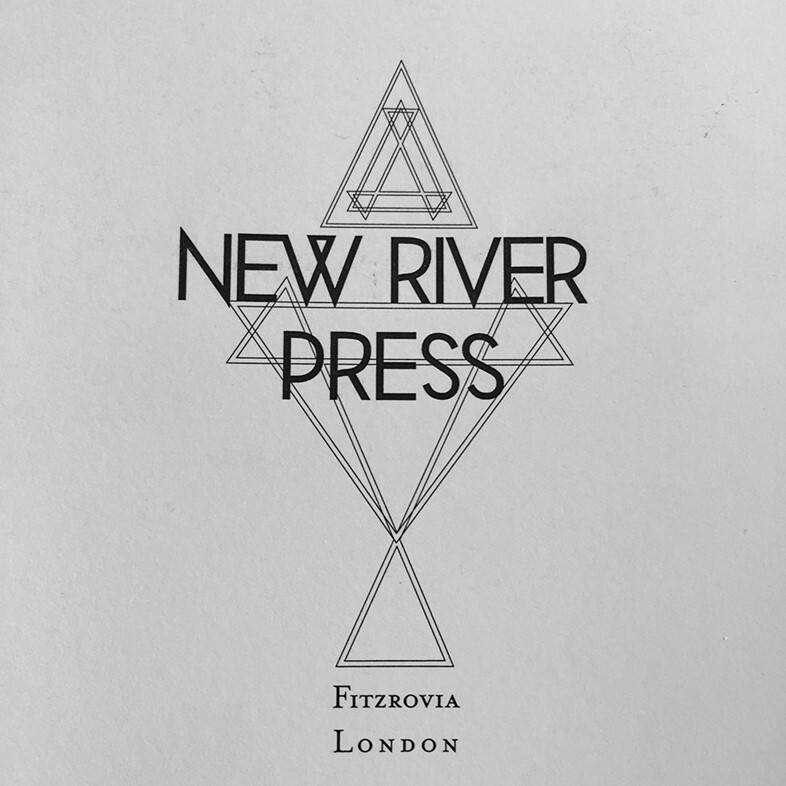 For more information, see The New River Press.